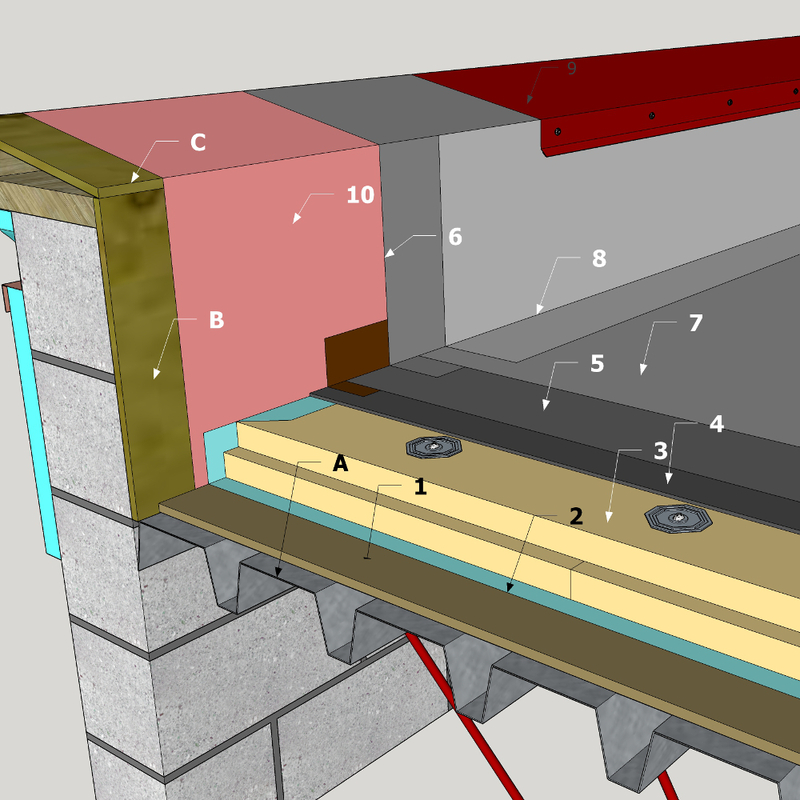 Required when insulation is too thin to span flutes of steel decking (see RGC Guarantee Standard A2.5) or when required as a thermal barrier by design authority. Mechanically fastened. (See Section 2.2 for accepted materials and Section 2.1.1 RGC Guarantee Standards A4.3 and A4.4.2). Adhered to overlay board using asphalt, cold adhesive, self-adhered, mechanical attachment or torch applied according to manufacturer’s specification. Torching directly to wood surfaces is not permitted. Adhered according to manufacturer’s specifications using cold adhesive, hot asphalt self-adhered or torch applied to cover boards, or mechanically attached membrane. Torching directly to wood surfaces is not permitted. Must be carried over to outside of parapet or minimum 200 mm (8") above finished roof surface. (See RGC Guarantee Standards Section 2.1.1, A5.6, and Section 2.1.3, C8.5). Applied according to manufacturer’s printed instructions, all options. Applied according to manufacturer’s printed instructions to top of parapet or minimum 200 mm (8") above finished roof surface. All options. Prime wood substrate to receive self-adhesive base membrane stripping. Required on rough surfaces or where adhesive is asphalt. Must be primed. Sloped to roof where parapet is over 100 mm (4") in width. Must be primed.